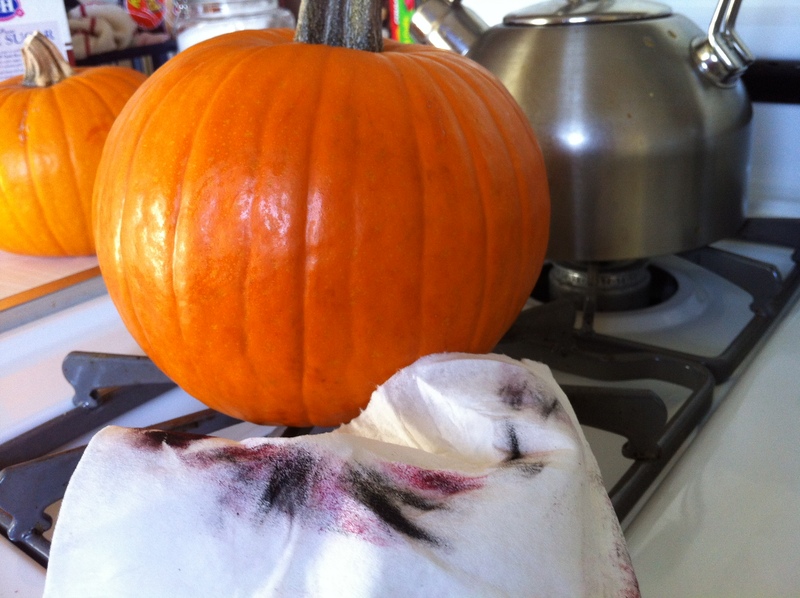 Now’s The Time to Make Pumpkin Pie! Greetings from across the Internet! 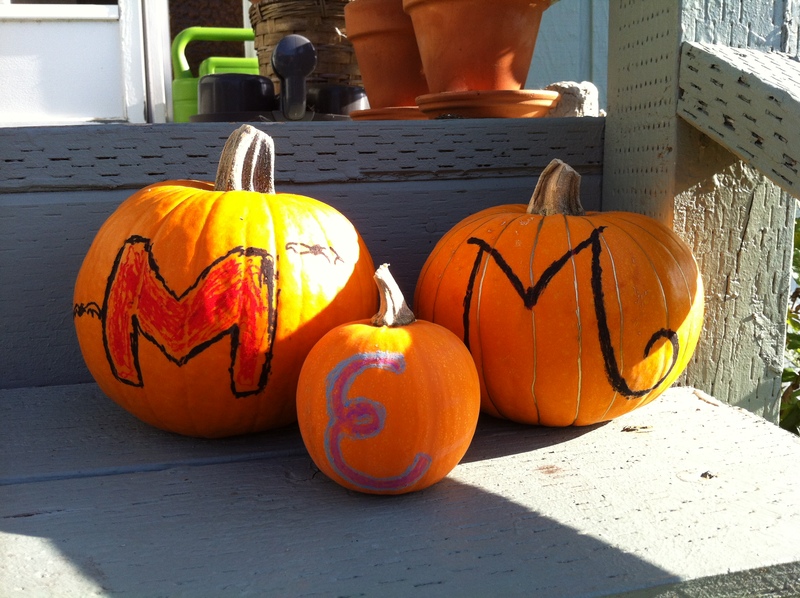 Halloween has come and gone, and all we’re left with is a mostly-full bag of mixed candy (we don’t get trick-or-treaters where we live) and a couple of monogrammed pumpkins. How ’bouts some pictures and instructions? First thing’s first: I actually remembered to preheat my oven to 400 degrees. (Anyone else seem to always forget to preheat their oven until you’re ready to use it? Hate that.) 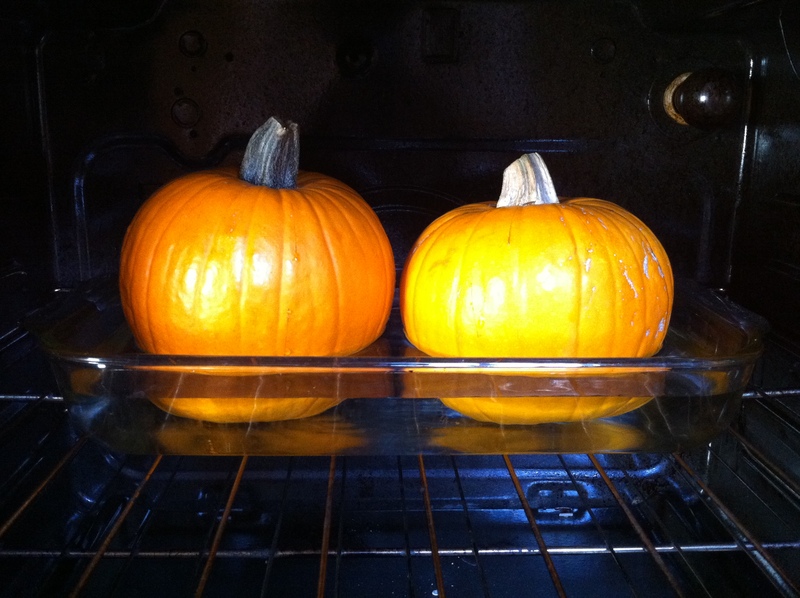 Before I popped the two big guys in the oven, I wiped the pastel off with a paper towel. I s’pose if I wanted to be extra thorough I would have washed them again in soapy water. Nevertheless, after some wiping they’re as clean (cleaner, in fact!) than the day I bought them. 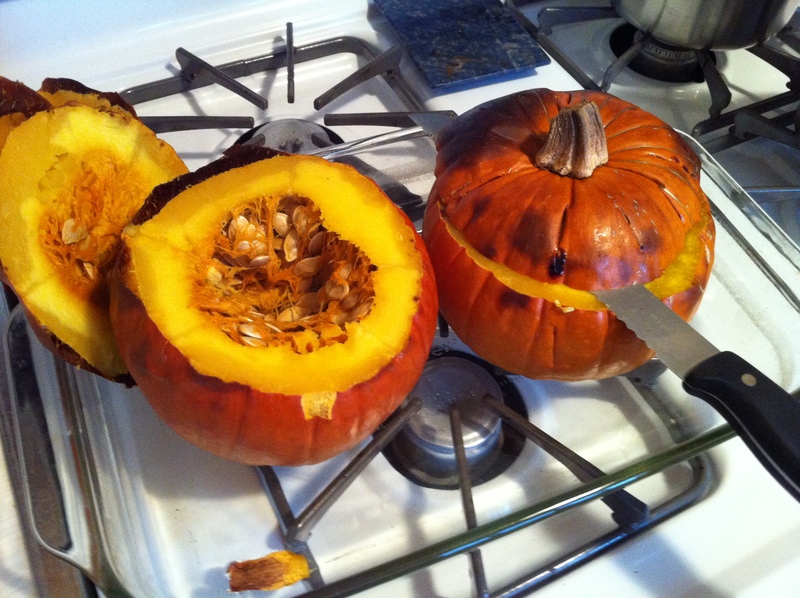 Then, using a paring knife, I put several slits into each pumpkin, to allow the steam to escape whilst roasting. 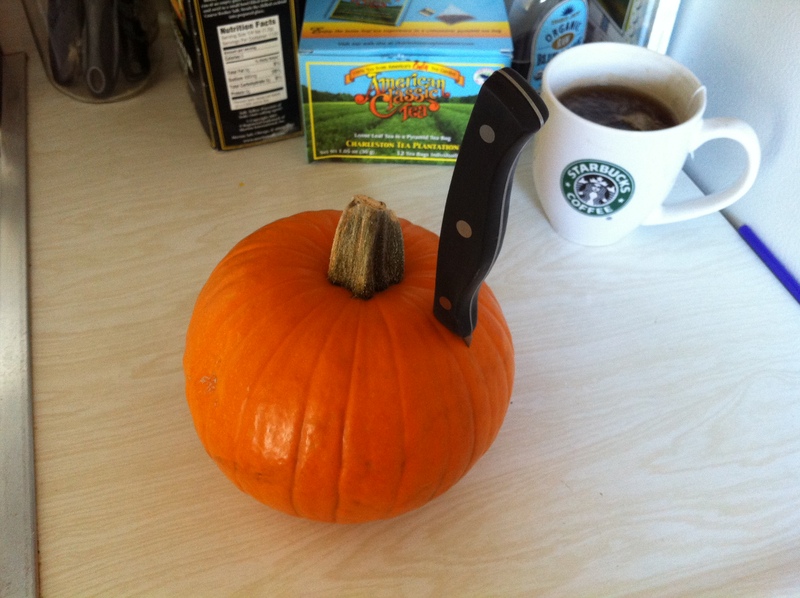 To do this properly, make sure to stab the pumpkin all the way through to its hallow. And BE CAREFUL pulling that knife out. It gets really stuck in there, and if you wrench it out the wrong way you might hurt yourself. 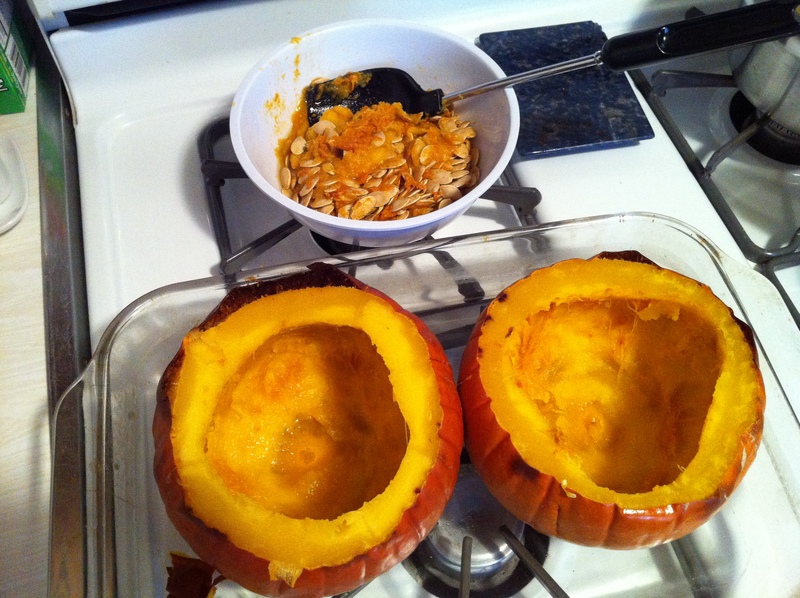 Once your pumpkins are clean and slitted, put ’em in a baking dish, and add about an inch of water to the pan. 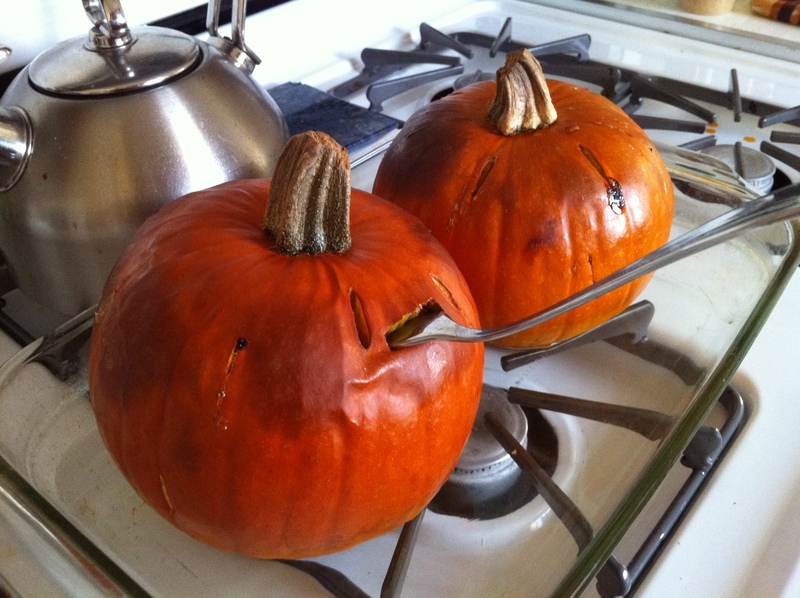 Put the pan with the pumpkins in the oven for, like, an hour and fifteen minutes/an hour and a half. Basically, you want to be able to pierce the skin easily with a fork, and you want the flesh to be really soft. 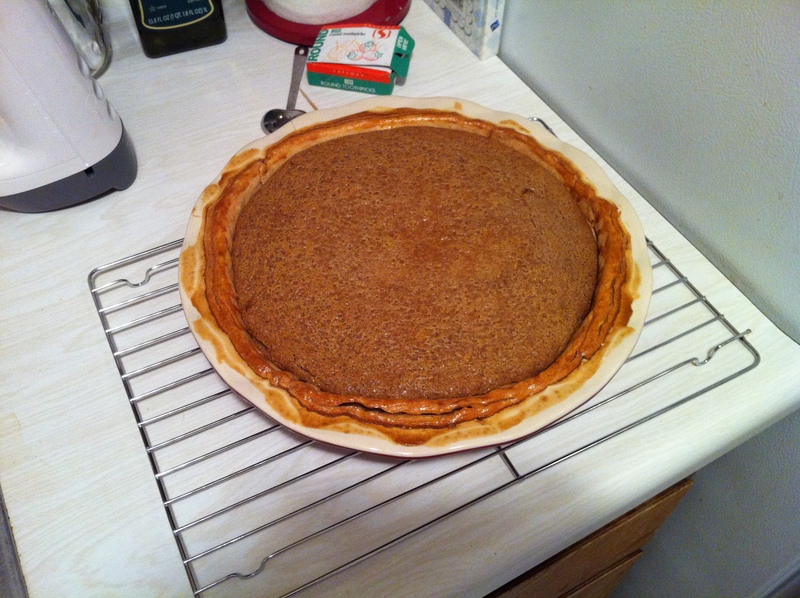 As I’m mostly on kiddo patrol, it might take me a few days to actually finish making the pie. 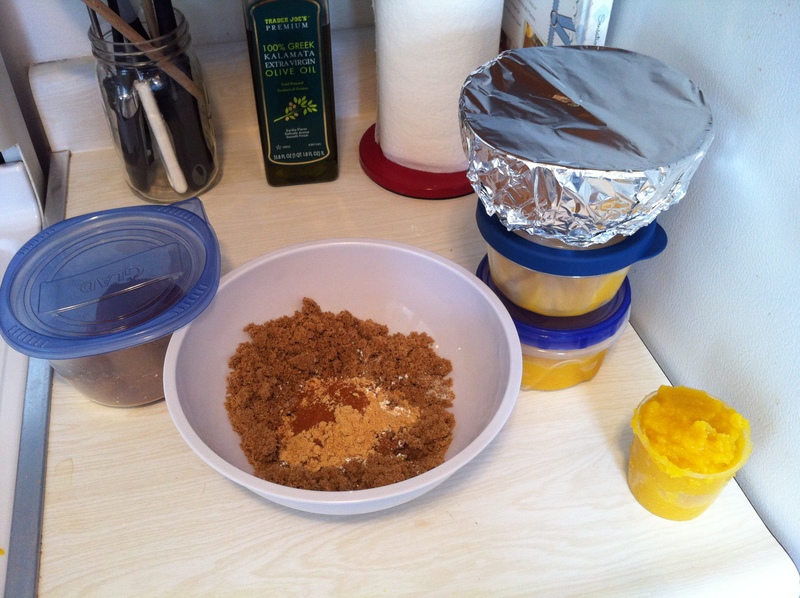 I’ll continue to update this post as I progress through the pie-making process. Then came the easy part: glaze the edge of the crust, pour the pumpkiny goodness into the shell, and bake it ’till it was good and solid (about an hour and ten minutes). Woo Hoo! She might not be the prettiest pie on the block, but she sure is the tastiest. (Confession: I’ve eaten two pieces already.) This turned out WAY better than I had even imagined it would. Between two pieces of plastic wrap, roll pate brisee into a 12-inch circle. 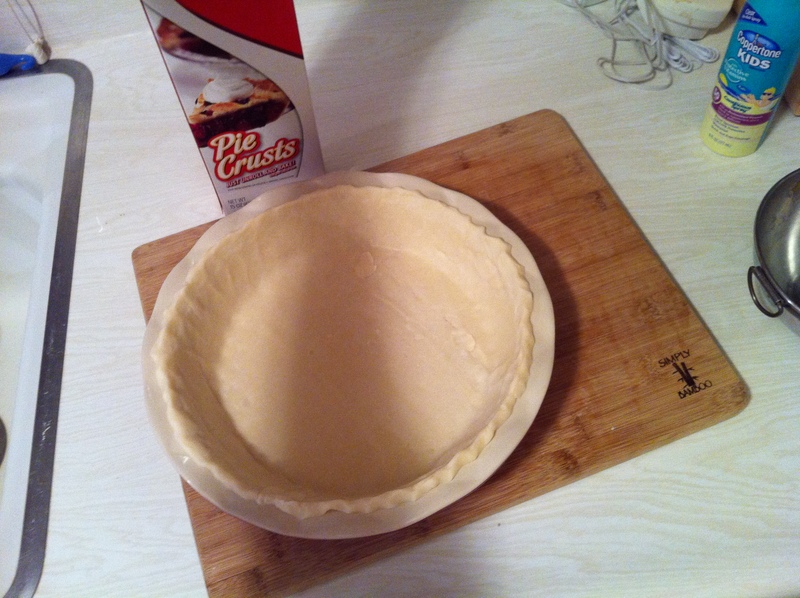 Fit pastry into a 9-inch glass pie plate; trim dough evenly along edge, leaving about a 1/2-inch overhang. Pinch to form a decorative edge. 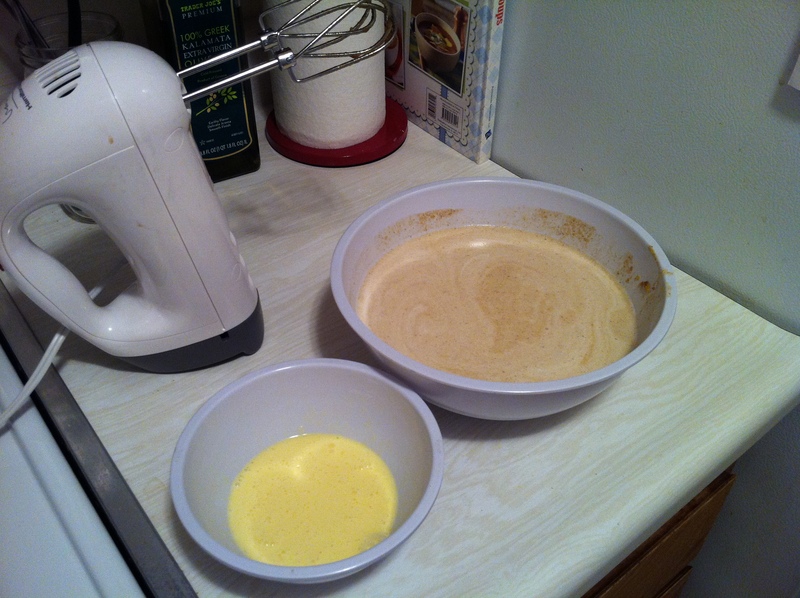 If the dough begins to soften, chill for 15 minutes. 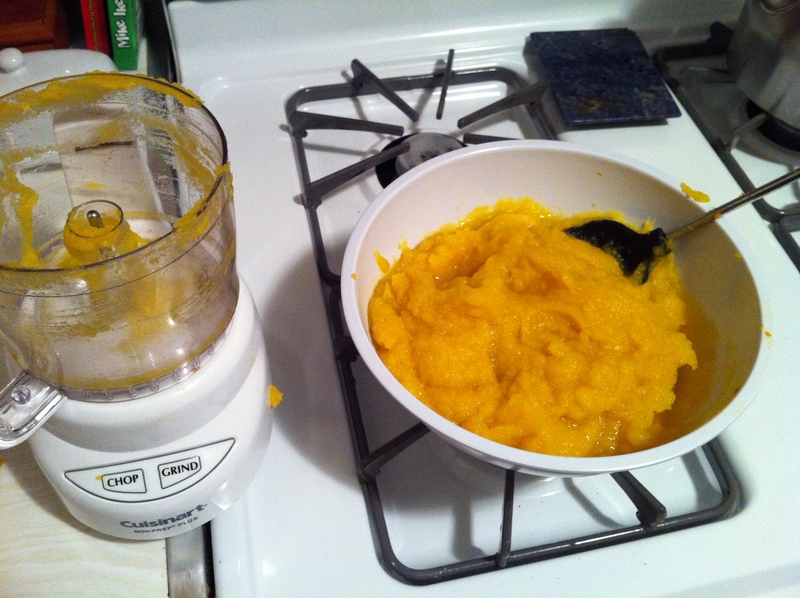 Note: After reading the comments on the recipe, many people suggested doubling the spices (because the recipe turned out bland) and replacing the evaporated milk with whipping cream. 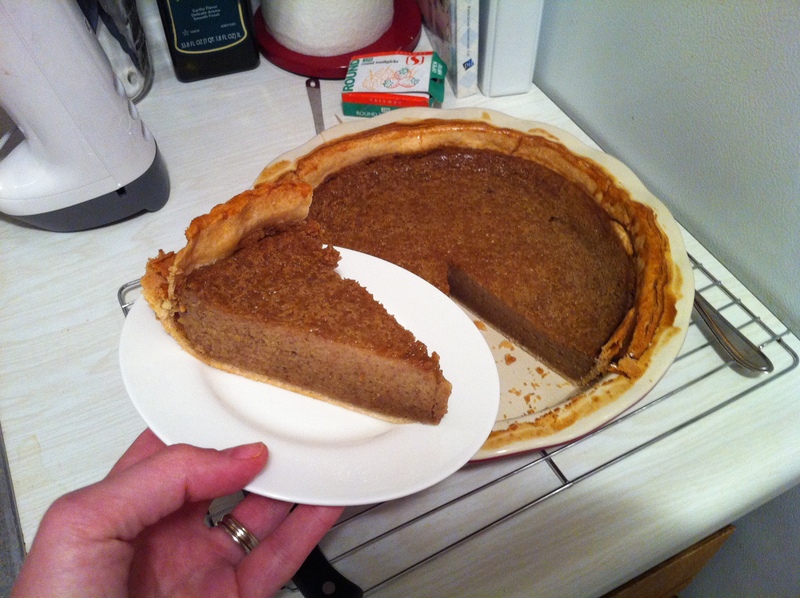 Also, a few people had mentioned that they needed to bake it twice as long as the recipe suggested; they were right. Instead of baking it for 30 minutes at 350, it ended up being in there for 54 minutes at 350. 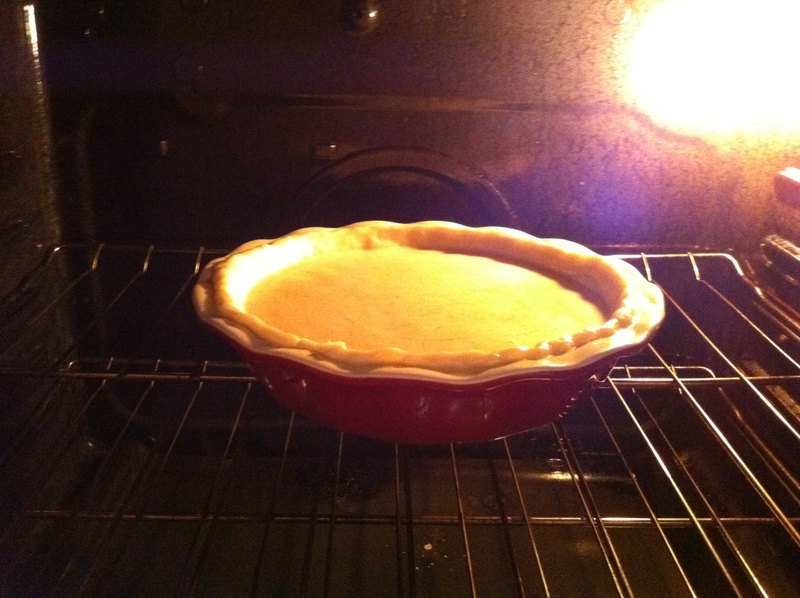 Just keep on baking it until it’s puffy, but not sloshy. You can poke it with a toothpick without ruining it, too. Given that the commenters were so bold as to correct Ms. Martha Stewart, queen of domesticity, I figured they were worthwhile suggestions. I’m glad I followed them! 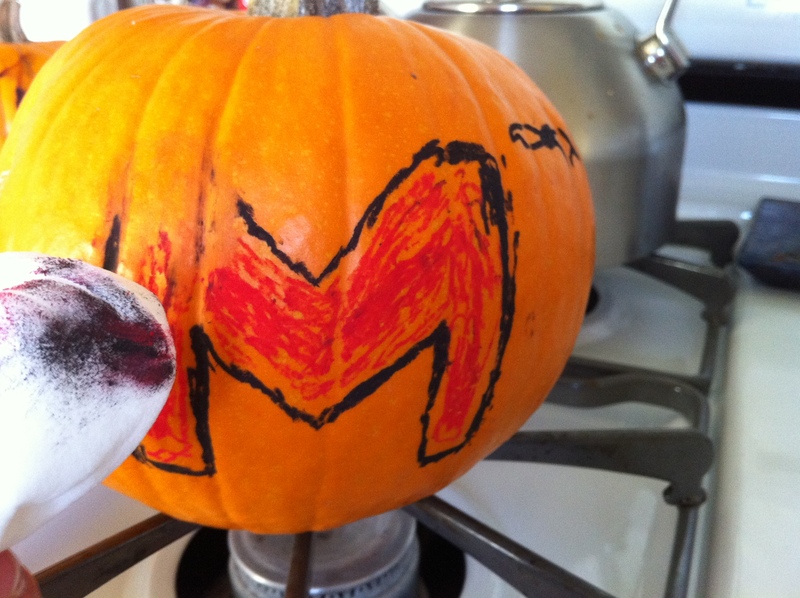 This is one spicy (but not too spicy pumpkin pie! Enjoy! And let me know if there’s anything else you’d like to know about the process! Holler so I know you’ve been here. Otherwise I feel like I’m talking to myself. Again.